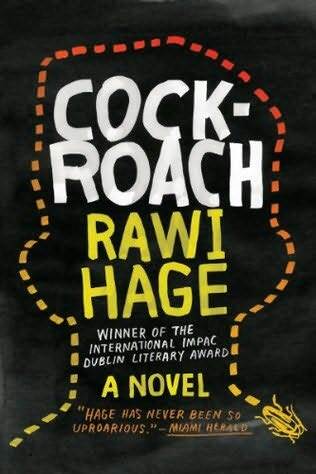 Book Recommendation: Rawi Hage's "Cockroach"
Little need be said about this slim novel except that it was a jarring pleasure to see the sneaky, sly book classified as Canadian. Lyrical and angry, poetic and sinister, this is not your grandmother's prairie novel. Montreal feels dark. The criminal is so sexual. The sexual so perverse. The vice is nice. This is how I feel inspired by this book; not to impart analysis on the author's political history (war torn Lebanon), because the book so masterfully manages to touch on the political without getting bogged down in it. Which is to say the dream is never ruined. The darkened streets are never lit too bright with some lecture. There are no lectures. There is little light. The beauty is in the darkness, and the flow of the language.